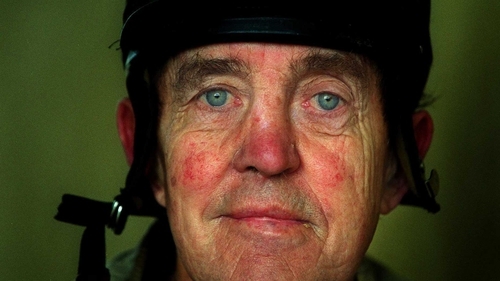 Tributes have been paid to Irish riding great and trainer Martin Molony, who died on Monday at the age of 91. Molony was champion jump jockey between 1946 and 1951, riding three winners of the Irish Grand National in Knight's Crest (1944), Golden View (1946) and Dominick's Bar (1950). He also steered Silver Fame to win the 1951 Cheltenham Gold Cup, but retired from riding later that year at the age of just 26 due to injury. His successes in the saddle were not confined to the jumping game as he also won three Classics on Desert Drive in the 1947 Irish Oaks, Princess Trudy in the Irish 1,000 Guineas in 1950 and Signal Box in the Irish 2,000 Guineas in 1951. His brother Tim, who died in 1989, was also a top jockey, and statues of the two are in place at Limerick, greeting riders on their way out. Following his retirement, Molony went on to establish Rathmore Stud in Kilmallock, which is now run by his son Peter, who wrote on Twitter: "So sad to announce the passing of my father & Champ Martin Molony today, peacefully, just short of his 92nd birthday." Brian Kavanagh, CEO, Horse Racing Ireland, said: "I'm really sorry to hear of Martin's passing and offer my sincere condolences to his family. He was an extraordinary horseman, and what he achieved - all before the age of 26 - was legendary. "He rode in a different time to those of the modern era yet his talent and achievements more than stand the test of time."